At least eight workers of the Maharashtra Navnirman Sena (MNS) were arrested on Tuesday morning after they dug up a pavement outside the Mantralaya (state secretariat) in Mumbai in the wee hours. The MNS workers were seen smashing blocks of the pavement with hammers, shovels and iron rods to protest against the apathy of the government towards filling potholes on Mumbai roads. According to reports, the police arrested at least eight MNS members. “A group of around 20 workers of the MNS gathered outside the Mantralaya around 3 am today and started digging up a footpath using spades and other tools to protest against the potholes on roads,” a police official said. Footages aired on news channels showed the men raising slogans and waving the party flag while breaking the pavement. 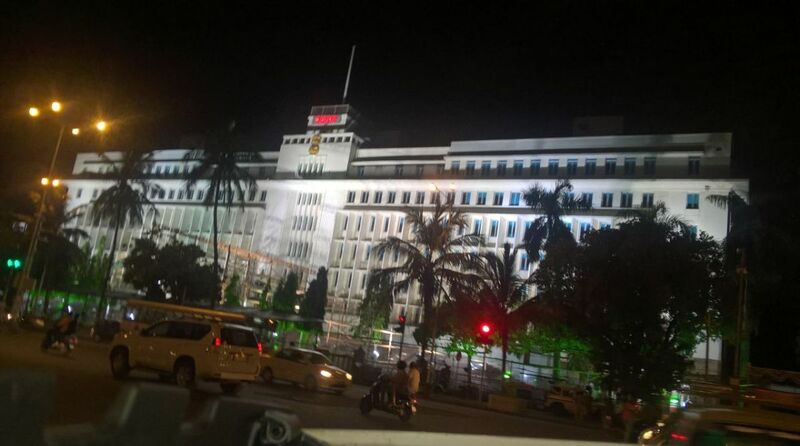 Police posted at the Mantralaya, which is located on the Madam Cama road in South Mumbai, rushed to the site of the ironic protest to stop the members of Raj Thackeray’s party. “All the MNS members present there were taken to the Marine Drive police station, where eight of them involved in digging up the footpath were arrested,” Manojkumar Sharma, Deputy Commissioner of Police (Zone -I) said. Reacting to the arrest of the party workers, MNS general secretary and spokesperson Sandeep Deshpande questioned the state government led by Chief Minister Devendra Fadnavis for not taking any action against officials who have failed in filling the potholes in the metropolis. On Monday, MNS workers had allegedly vandalised a government office in adjoining Navi Mumbai, to vent their ire over potholes dotting the 39-km stretch between Sion and Panvel. Accidents on pothole-ridden roads have claimed five lives in adjoining Thane region since last month. The victims lost balance and fell as their two-wheeler hit potholes.